Chlorophyll collects light hitting the leaves of cannabis plants. The light is stored as energy, part of which is stored to use later, and part is used to split H20 into O2 and H, oxygen and hydrogen, respectively. This process is how plants ‘exhale’ oxygen. Plants also absorb CO2 through the reaction in photosynthesis called carboxylation. This CO2 combines with free hydrogen to create carboxylic acids. Carboxylic acids are made up of hydrogen, carbon, and oxygen: the most relevant of these acids to growers and cultivators is delta-9-tetrahydrocannabinolic acid. Cannabidiol and Cannabinol, two other active ingredients in the plant are also made of carboxylic acids. There are a variety of other acids which have various purposes, but these three are the most relevant for most growers. Delta-9-tetrahydrocannabinol (commonly called THC) has been found to have some beneficial health effects, but is not the active ingredient sought by smokers. It doesn’t provide a “high”. While the plant is still living and growing, a large percentage of its THC remains in THCA form, which is one of the primary reasons that plants must be dried and cured to have strong drug effects. Extra CO2 molecules strongly inhibit the potency of the plant. The THC itself is formed inside the plant through the process of decarboxylation. As suggested above, this is the removal of the extra C02 molecule. This is one of the primary reasons why curing is such a vital part of the process of cannabis harvest. The dehydration and heat directly affect the conversion of THCA into THC, as well as determining the presence of other cannabinoids. Proper decarboxylation helps ensure the highest final yield of THC. Make sure to download my free marijuana grow bible at this link and grow like a pro! Moisture is the most important aspect of the cannabis curing process. To begin curing, cannabis should be dried until most of the moisture has been evaporated. The best place for this is somewhere dry, dim, and cool. Good circulation is also essential. The plant must be dried as quickly as possible. If it remains wet for an extended period of time, a grower risks the invasion of fungus and mold, which will irreparably damage the plant. Stay vigilant in the early steps of drying the plant; one of the most common mistakes is to allow a plant to rot by letting it stay moist for too long. After the plant has dried entirely on the surface, it will still retain moisture on the inside. The next step is to place the plant matter in a sealed container and leave it. The moisture will disperse throughout the plant and rehydrate. Some growers refer to this stage of the process as sweating because moisture can condense on the interior of the container. During the sweating stage, it’s imperative to open the jar intermittently and re-circulate the air inside the jar. This will help stave off the previously mentioned mold and fungus. Depending on the moisture of the plant matter, it may be necessary to remove the plant entirely and repeat the drying process before continuing with ‘sweating’. These two steps should be repeated as necessary until the plant matter has dried appropriately. The heating process automatically occurs when a plant is burned, vaporized, or smoked, but for tinctures or edibles, it’s still important to make sure decarboxylation has occurred. It’s best to do this in two separate steps, in order to ensure a high quality finished product. First, the plant matter should be broken up as much as possible. This is a basic physics concept. Smaller particle size means that there is more exposed moisture for air circulation and heat to take advantage of in the dehydration process. The smaller the pieces, the greater the surface area, and the easier and more efficient it becomes for heating. The key here is to first ensure proper dehydration of the plant matter without burning or scorching it. It should be warmed to about 200 degrees Fahrenheit for about 15 minutes or until totally dry. Although some sources will suggest a higher temperature, it’s valuable to keep the temperature below the boiling point. As long as the plant still contains moisture, the water can boil and damage the cells, which will destroy the integrity and appearance of the plant. Additionally, a lower temperature lowers the risk of mistakes, because there is less worry about forgetting about it. Remember, the first step is to dehydrate the plant. Don’t burn it or let it get too hot! After the cannabis plant matter has totally dried, there is less risk in letting the temperature rise above the boiling point. Once there is no water in the plant material, raise the ambient temperature up 25 to 40 degrees, to 225 or 240 degrees Fahrenheit. Let the plant sit at this temperature for about an hour. 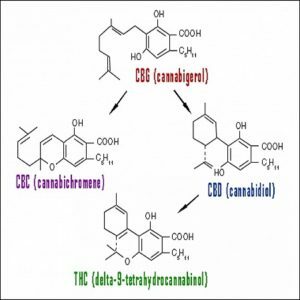 This process will help to accelerate the decarboxylation and conversion of THCA to THC. This step requires the most care: it’s important not to let the plant ‘cook’ for too long, and, above all, make sure that it isn’t being scorched or burned at all. Once you’ve completed these steps, you will have decarboxylated and cured your cannabis and it is ready for whatever purpose you have planned. Thank you for all your knowledge, i really learn alot from you! A lot... not a lot. Hi Bradley, just check out our plant care guides section. Hi, i was talking to a light supplier and he was telling LED is no good for growing because the light spectrum's are wrong, is this true or false. No. Where did you get that info? You want to cure in a cool dark space with as low humidity as possible. Am I overeading this or could the , Curing , be skipped , if, product was Decarboxylated , only , instead ? What difference would it make ? How do you keep plants short. Trying a tent for the first time, can't find information on it. Had to bend. I was wondering how much stronger this process makes the pot? No. Your weed should already be dry when decarboxylating. Never use a dehydrator for cannabis in any application. undried, uncured cannabis contains too much chlorophyll. After I strain the weed alcohol mixture do I have to evaporate it off before adding the vg? I decarb in the oven then cook it in coconut and lecithin for capsules. My slow cooker gets up to 255-260 on the sides. Is that to hot? The center stays about 225. Are you say to put the pot in water and heat it ir to bake it?